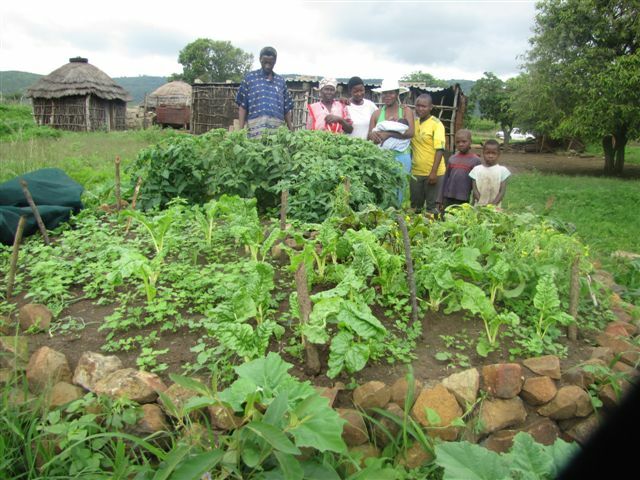 The project goal is “Vulnerable populations within Swaziland have greater access to sustainable livelihoods.” The project aims to do this by improving sustainable agricultural production while building the capacity of rural families to better manage local natural resources and improve their economic coping strategies (including Savings and Internal Lending Communities – SILC) to make them more resilient to external shocks. However, improved food security alone does not necessarily correlate to improved health status. The project therefore also seeks to promote healthy behaviors by improving nutritional knowledge and hygiene practices and reinforcing key HIV and TB prevention messages amongst beneficiaries. CRS as a major funding partner of Caritas Swaziland has agreed to extend the Caritas Swaziland Livelihoods Integrated Project to September 2015. The partnership started in 2008. The donor pool has been extremely limited in the country (namely the European Union and US Government) given governance concerns. CRS has supported the organization though capacity building as an ongoing Institutional Strengthening. Below are the highlights for the project after we made an evaluation at the end of it in September 2014. 43% (17) SILC Groups established and enjoying the benefits of saving out of the 40 targeted. Our recent last report on evaluation in September 2014, showed we have the 17 groups actively saving with 302 beneficiaries. Beneficiaries of the project are able to satisfy their basic needs through the SILC Groups savings. The SILC Project has strengthened unity and solidarity in the communities engaged in the methodology. The beneficiaries are now able to take loans from their groups and start Income Generating Activities (IAGs). This is an indication that the loans are taken for productive purposes that will make it easier for them to save. 65% from the sample indicated that they are participating in Income Generating Activities. 75% SILC beneficiaries are able to pay school fees for their children and buy uniforms too. The Social Fund makes it a stand alone among other projects implementing activities similar to SILC. As a result beneficiaries enjoy take social fund knowing that they return it without interest. Qualified for the CRS regional reporting last quarter by earning points on the Brownie points, Swaziland made it for the first time. From the external evaluation, all the participants of the project have benefited in different ways from field agent down to beneficiaries level. Filed agents felt that they feel empowered, gained facilitation skills, knowledge of SILC. Beneficiaries are happy to be empowered as well, gained self-independence, ability to satisfy their needs and wants. From my perspective, as the SILC Coordinator, when a community development project comes to a community, it must bring change, especially changing for the better. With that, I mean to say, beneficiaries are now empowered in a sustainable way for instance some beneficiaries have gained self confidence which community leaders have identified from them such that some are now in leadership as secretaries for their chiefdoms, field agents have gained knowledge of SILC and they will become a springbok for any community development project whether its Caritas or any organization. We have enabled communities to identify their potentials and abilities and capacity development, we have modified and strengthened them to become better people to enrich their own lives in a convenient and sustainable way through SILC. During share-out times, the groups risk moving around with the cash box full of cash. Timeframe for sensitization of the SILC project has to be 3 months since community elders take their own time to give permission, which automatically delays implementation of activities and leads to the project being behind the scope. Sensitization for the SILC project was staggered because of that reason throughout the implementation period. In areas where Caritas has worked before, it has made it easier for the project to penetrate through and obtain community member’s buy-in the SILC methodology. The gap between elderly and youth in SILC groups creates misunderstandings because of their level of thinking and way of doing things. For more buy-in of SILC methodology in the communities, we had to use beneficiaries who were participating in SILC groups who have shared-out to introduce the concept since they were talking from experience. Sharing work experiences with the Zambian SILC programmers made a huge impact for the project, for instance we got points on the Brownie points for CRS Reporting to the regional office on SILC for the first time last quarter we qualified. 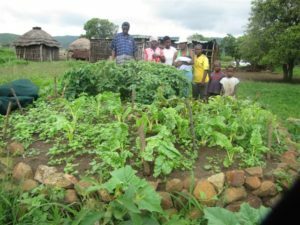 Objective 2- Vulnerable populations within the Lubombo and lower Shiselweni Regions have improved food security through sustainable agricultural livelihood practices. Objective 3- Vulnerable populations within the Lubombo and lower Shiselweni Regions have improved health status through increased knowledge of better nutritional and hygiene practices and HIV and TB prevention.